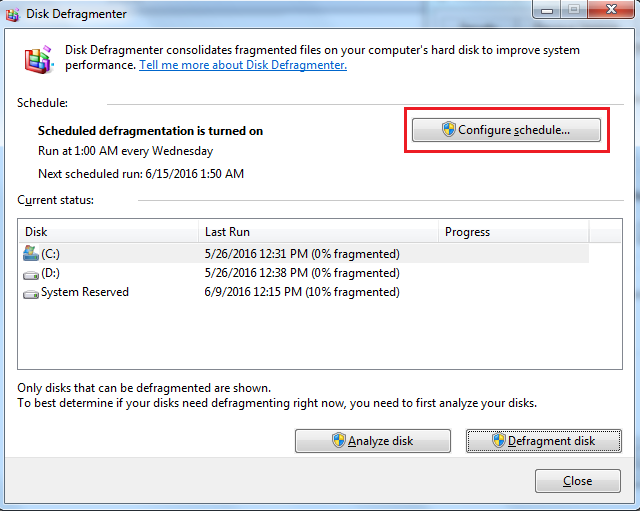 Techies Sphere: How to configure Automatic Scheduling for Disk Defragmentation in Windows Computers? 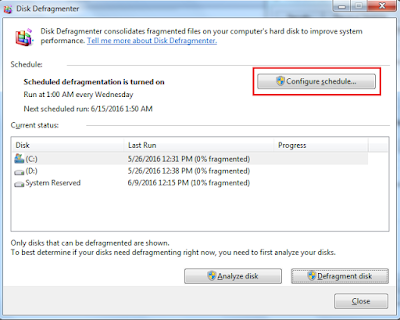 How to configure Automatic Scheduling for Disk Defragmentation in Windows Computers? 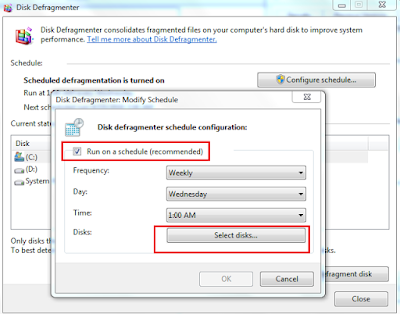 Or, Disk Defragmentation Schedule Configurations in Windows Computers. Or, Set Automatic Disk Defragmentation in Windows computers. 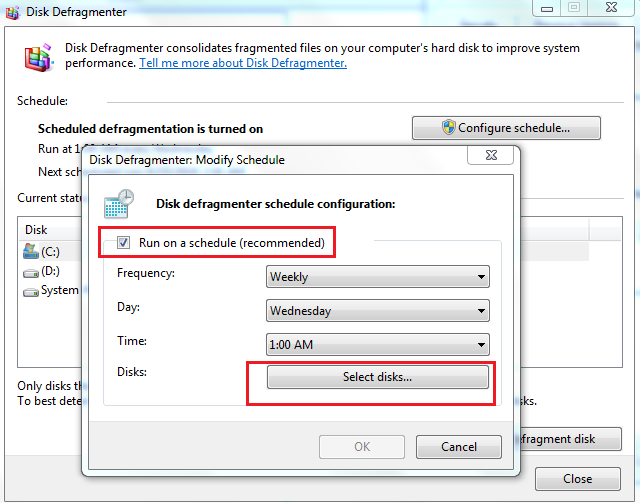 Guys, there is way to configure Automatic Schedule of Disk Defragmentation Task in windows machines. 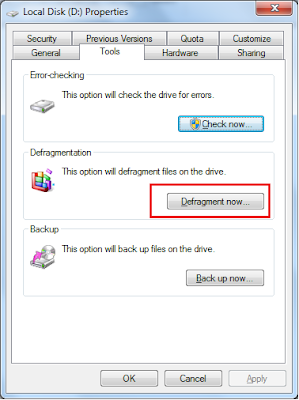 Instead of doing it manually every time, you should go for this option to save your time and avoid missing the defragmentation task. 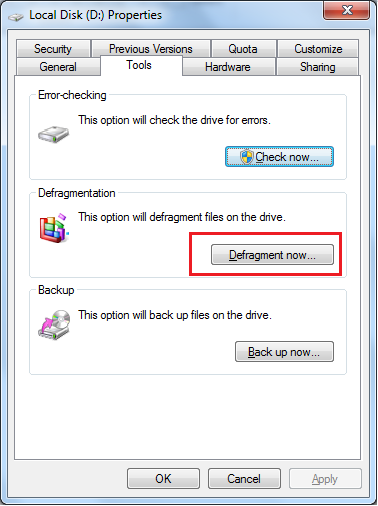 Right Click on the Drive > Go to Properties > Tools > Defragment Now > Configure Schedule > Configure the Schedule at per your requirement. 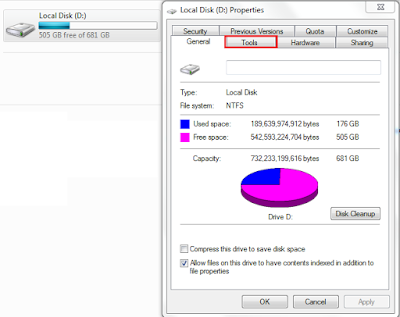 Below are the reference screenshots given sequentially to help you with GUI view.